Whether you’re a gear-headed grease monkey or simply a car admirer, when you need parts for your Nissan vehicle, come to HGreg Nissan Delray. Our dedicated Parts Department team will help you get the exact parts you need for any project, whether you are planning to work on your car in your home garage or will be having our Service Center team take on the project. HGreg Nissan Delray has a wide selection of great auto parts for every Nissan model as well as pre-owned vehicles from other brands. Our Parts Department is located here at our Delray Beach Nissan dealership premises at 2200 S Federal Hwy. We carry a wide array of components for every part of your vehicle. Need a replacement mirror? How about some new lights? Looking for belts, gaskets, or hoses? We have you covered. All of our genuine Nissan auto parts are priced competitively so you can be sure that you are getting a fair price on the auto parts that your car needs to run smoothly and look its best mile after mile. No gimmicks – just our guarantee of quality auto parts and fair prices. 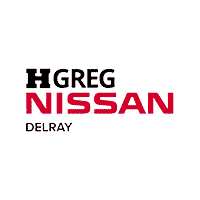 If you are a car owner in Coral Springs, Delray Beach, Boca Raton, Deerfield Beach, and Pompano/Coconut Creek and you are in need of genuine parts for your Nissan, come and see us today at HGreg Nissan Delray.